oWAR & dWAR: You keep using those words. I do not think they mean what you think they mean. The other day I was having a chat with Graham and Dan about Bill Dahlen, Jack Glassock, and the 2016 Pre-Integration Committee ballot. You know, like normal young men do. @grahamdude @leftfielddan Only non-Hall SS with 2000+ H and 110+ OPS+: Dahlen, Glasscock, Trammell, McKean (perhaps worst defender ever). @HallOfStats @LeftFieldDan I see Ed McKean as having 4.1 dWAR. Is he bad through some other metric? This entry was posted in Uncategorized on March 7, 2014 by Adam Darowski. Bryan O’Connor: That’s right, our very own Bryan decided to hang them up before the 2015 season started. As we’re still really early in this thing, I replaced him with a pitcher named Brian O’Connor (aren’t I clever?). Hysterically, this O’Connor opted not to sign when drafted by the Mets. This guy is never going to get his career off the ground. I’ll allow retired players to re-enter for one more season. Then, if you retire, you’re out of luck! This entry was posted in Uncategorized on October 10, 2013 by Adam Darowski. ERA+ has issues. This was brought to my attention awhile ago by Sky Kalkman (see the Storify for lots of gruesome details). I’ve written about some of the issues with ERA+ as they relate to Rick Reuschel. But today I want to bring up something different. Only 40 pitchers have an ERA+ of 130 or better (1000+ IP). 174 hitters have an OPS+ of 130 or better (3000+ PA). This entry was posted in Uncategorized on September 30, 2013 by Adam Darowski. New Player: Dan McCloskey, who left us for football, has been replaced by Charles Simone. This entry was posted in Uncategorized on September 18, 2013 by Adam Darowski. Here’s the news story from Dan’s announcement that he was leaving the game… for FOOTBALL. It’s the moment all the High Heat Stats OOTP League prospects have been waiting for—you’ve been drafted (well, almost all of you) and you’ve played some games! I simmed through the end of the 2013 season, so you’ve got a half season of games under your belt. We had a player quit and leave baseball… for football. Seriously, Mr. McCloskey? What the hell are you thinking? And that came after you won the Outstanding Hitter Award in your league? Sheesh. Five players failed to sign with their clubs and will be in next year’s draft. This includes Rich Warren (3rd overall by the Rockies) and Bill Brockman (6th overall by the Red Sox). One player (Luis Gomez) wasn’t even drafted for some reason (I’m guessing it was an error on my part when entering his eligibility). No worries. He signed on with the Rockies (who were shunned by Mr. Warren) and played at four levels, becoming the first of our merry group to reach AA. Dalton, despite his weak intelligence, was the first of the group to be drafted. The Cubs took him second overall, giving him almost $7 million. Who was #1 overall? It was a fictional guy I made by mistake and couldn’t remember his name (so I couldn’t delete him). Oops. I probably cost Dalton even more money. Three players were actually put on waivers and signed on with new clubs. Baltimore gave up on Bryan O’Connor, but Houston nabbed him. The Yankees waived Darien Sumner, but the Marlins came calling. The Marlins also picked up CJ Miller, who the Cardinals allowed to get away. I don’t understand why these players were waived. Ryan Hennesy was the only one to suffer a serious injury. He missed about six weeks. Of the 29 of us who were drafted, 28 were taken within the first 49 picks. Andrew Tarwerdi had to wait until the fifth round. He’s taking it out on all his opponents to the tune of a 155 OPS+. This entry was posted in Uncategorized on September 11, 2013 by Adam Darowski. Here’s Dalton’s player page in our OOTP league. He’s looking like a pretty nasty pitcher, but likely projects to be a reliever. Last week, I announced a new experiment using Out of the Park Baseball. 30 High Heat Stats authors and readers have been added to the 2013 draft pool. Lets see who’s going to have the best career! Before I conduct the draft, I figured I’d link to everyone so the can check out their player page. If you try navigating between pages of the league almanac, you may encounter some broken links. I’m still trying to master the export process. In fact, that’s why I’m doing this experiment—to learn the latest version of OOTP. I’ve been using older versions for a dozen years, but my has it grown up! Without further adieu, here we are… the High Heat Prospects! This entry was posted in Uncategorized on September 9, 2013 by Adam Darowski. My final stats in this fictional Out of the Park Baseball test. Flashes of brilliance, but otherwise… meh. I never got into fantasy baseball. Over the years, I’ve had a different drug—baseball simulation. Basically, sim baseball lets you run an alternate baseball universe on your computer. There can be other human owners involved or you can play by yourself. I’ve used Out of the Park Baseball (OOTP) since version 2. I started a league back in 2001. A few years ago, we upgraded to OOTP 6. The most recent version is OOTP 14, so we’re way behind. I’ve started playing with OOTP 14 lately and boy does it have a lot of new features. Rather than set up a league all by myself, I figured I’d involve the High Heat Stats authorship and readership as I got used to the game. I’m going to create a new league beginning with 2013. I’m going to allow you, the HHS readers, to be a player in the new league. You can pick your name, position, and handedness. That’s it. Everything else is random. I’ll create a new prospect to your specifications. And I’ll make the prospect good. But that doesn’t mean you’ll go on to be a star. I probably won’t use to highest level because an influx of that many elite prospects will just throw everything out of whack. Every once in a while (maybe once per week), I’ll sim a season. I’ll let you know how each player did and post the results. Let’s see who has the best career! I ran a little test just to make sure this would work. I took the six-person High Heat Stats podcast crew and assigned their name to a random player. I made each a “Legend” level prospect, but a raw one (completely undeveloped). I then fast-forwarded ten seasons to see what happened. The results were interesting—and varied. Here are the decade summaries for each of us, sorted from lowest WAR to highest. A sixth round pick in the inaugural draft (and ranked the #20 prospect in the league), I started my pro career at AA but stalled in AAA as a starter. Converted to the bullpen, I quickly was called up in 2015 at age 23. My best seasons came in 2016 and 2017, yet I only totaled 1.7 WAR. I got my chance to close in 2018 and turned in a replacement level performance (despite 29 saves). I was traded and then non-tendered the next year. After signing a minor league deal with a new franchise in May of 2020, I was terrible in 21 games. For some reason, I was brought back for 2021, but spent most of the season in the minors. I was not offered a contract. I looked for work for a year before finally hanging them up. Despite the early retirement, I was never injured during my career. Totals: 335 G (379 IP), 250 K/169 BB/35 HR, 1.37 WHIP, 21-22, 34 SV, 3.61 ERA, 130 ERA+, 1.4 WAR. Bryan is the only one of us who was ever named the #1 prospect in the land (a year after he was picked in the 12th round, 336th overall). That was despite getting roughed up for a 6.94 ERA in A ball. He fared much better in AA for his first nine starts—until he partially tore his labrum. He was still the #3 prospect in 2015 but struggled before missing time with radial nerve compression. In 2016, now the #45 prospect in the league, he got the call and posted 0.6 WAR in 28 big league appearances (3 starts). He stayed in the rotation all year in 2017, going 13-7 with a 3.48 ERA in 168 innings (1.5 WAR). In 2018, he missed most of the season with bone chips, but was solid upon his return. In 2019, he was terrible and started the transition to the pen. He won a AAA championship out of the pen in 2020. He continues to be shuttled between the majors and AAA. Andy wasn’t drafted until the 25th round, but he was named the #10 prospect in the league. After six starts in A ball, he became a reliever in AA. Despite struggling, he was named the #3 prospect in baseball for 2014. He notched 30 saves in 2014 in AA—but at only age 19. He was rewarded with a move back to the rotation in AAA the following season. He tore his labrum and made just sixteen starts. He came back the following year and bounced between AAA and the majors from 2016 to 2018. In 2019, he finally pitched 190 big league innings and was worth 2.9 WAR. After that, he posted numbers below league average in the rotation before being traded in 2021. He missed most of 2022 with a sore shoulder and was non-tendered. Totals: 150 games (91 GS, 606 IP), 361 K/202 BB/67 HR, 1.37 WHIP, 26-41, 94 ERA+, 7.0 WAR. I thought Dan would have been the best of the group, drafted in the fifth round (164th). He was named the #5 prospect and went right to AAA. He earned a call-up that September (at age 20) and even earned 0.2 WAR. Over the next five seasons, he was a star with seasons of 1.2, 5.2, 1.7, 6.0, and 6.8 WAR. He won a championship in 2015 and hit 35 homers three times while driving in 100 twice. He was an All Star in 2017 and 2018. He was named the Outstanding Hitter in the league (the equivalent of MVP) in 2018. In 2019, it came to a screeching halt as he suffered torn ankle ligaments and played just 53 games. He played in 140 games in 2020 but was below replacement level. He split 2021 between two clubs and rebounded with 33 HR and 101 RBI (despite just 1.4 WAR) but slumped to -0.9 WAR in 2022 (again split between two clubs). He’s entering the final year of a three year deal that paid him $13.7 million (it was signed a year after his injury). Totals: .270/.324/.472/.796 OPS, 121 OPS+, 1190 hits, 217 HR, 711 RBI, 21 SB, +3.7 ZR, 23.0 WAR. .309/.344/.623 in 45 postseason games. Ashley was picked in the 13th round (#1032nd overall) and was a rookie league All Star (with a .973 OPS) that same year. She started her pro career ranked as the #13 prospect in the game. She won a championship in A ball the next year. In 2015, she moved up to AA and hit .381/.461/.534 before a brief three-game callup to AAA. She then moved right to the majors at age 20 and posted an 82 OPS+ and 0.6 WAR. The next year, at 21, she was a 4-win player and a Gold Glover in center. She was an All Star in 2017, 2018, and 2020 and is on a string of seasons with 6.2, 6.3, 6.4, 5.8, 4.3, and 4.4 WAR. She won a championship in 2018 and has three 30-homer seasons (and two more at 25) while driving in 100 three times. She has hit .289 so far with an OPS+ of 136. She rates as a downright dominant center fielder, with +93 runs in 942 games. She recently signed a 5-year deal that will pay her $84 million. Totals: .289/.348/.506/.854 OPS, 136 OPS+, 1072 hits, 185 HR, 650 RBI, 120 SB, +87.4 ZR, 38.0 WAR. .357/.446/.886 in 26 postseason games. Dalton, like with the podcast trivia challenges, is charmed. He was the highest pick, taken in the 3rd round (80th overall), and ranked the #3 prospect. He skipped the minors and went right to the majors as a 22-year old. He was hitting just .219/.308/.412, but his defense brought him to 2.1 WAR. His season was cut short by injury after 116 games. He returned for the playoffs as his team won the championship. He has basically been Chase Utley, as he is injury prone, but incredibly productive. He’s basically a 15-25 homer, 5-10 defensive run player every year. It adds up. He was an all star in 2016, 2018, and 2020 and won another title in 2019. He also won the Gold Glove that year. 2019 was also his first year with a new club, having signed a 4-year deal worth $77.6 million. That contract just ended and he just signed on with another club for 4/$67.2m. He has played in 150 games just three times in ten seasons, but is very productive when healthy. Totals: .265/.366/.451/.817 OPS, 128 OPS+, 1264 hits, 162 HR, 683 RBI, 162 SB, +64.6 ZR, 42.5 WAR. .312/.421/.569 in 45 postseason games. Interested in seeing updates about you, the pro ballplayer? In the comments, just leave the first and last name you’d like to use, your preferred position (it’s not my fault if your boss moves you), and how you bat/throw. I’m trying not to read anything into the fact that our three pitchers failed and our three position players succeeded. That said, I know I’m catching. Anything can happen in this league. You can get hurt and tank. You can improve and be an all-time great. You could even take time off for personal issues (I actually saw one such news story pass by in my test). I wish you luck—we’ll all need it. There’s a Nickname field. If you use something different from the name you comment with, I’ll put the commenter name here. I’ll probably limit this to the first 24 commenters (giving us 30 with the podcast crew included). If there’s much more interest, maybe I’ll assign names to other prospects (but limit the number I create to 30). So, let’s have some fun! This entry was posted in Uncategorized on September 6, 2013 by Adam Darowski. Last night, a bunch of us on Twitter were having a discussing about Alan Trammell and Lou Whitaker—as we baseball geeks are wont to do late on a Sunday night. @HighHeatStats I don’t think either of them should be in, but I definitely think Whitaker is closer. This entry was posted in Uncategorized on August 26, 2013 by Adam Darowski. 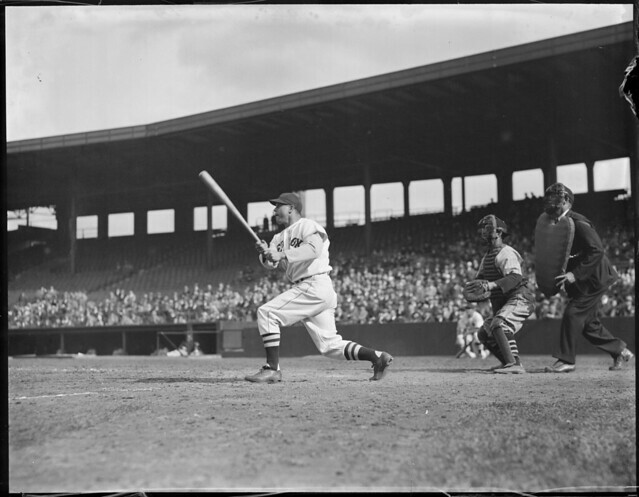 As I built the Hall of Stats, I came across many players who are rated highly by Hall Rating (a formula based on Baseball-Reference‘s WAR and WAA) but not remembered in the same way by Hall of Fame voters and the general public. I have covered several of those players here—including Larry Walker, Rick Reuschel, Curt Schilling, David Cone, and Urban Shocker. Many players of this ilk are considered Hall-worthy by objective-minded fans—even if the Hall of Fame voters don’t necessarily agree. I recently named my Personal Hall of Fame while bloggers Bryan O’Connor, Ross Carey, Dan McCloskey, and Dalton Mack did the same. I’m interested in consensus—particularly where these Personal Halls of Fame, the Hall of Stats, and Baseball Think Factory’s Hall of Merit agree about a player and the Hall of Fame does not. Just looking at the players above, so far Walker, Reuschel, and Cone are supported by everyone except the “real” Hall of Fame. Schilling is missing only induction from the Hall of Merit while Shocker isn’t supported by either the Hall of Merit or Bryan’s Hall). Today, I want to talk about the player who ranks #1 in Hall Rating among players left off every one of these lists—that is, until Dalton included him. It’s Kevin Appier. 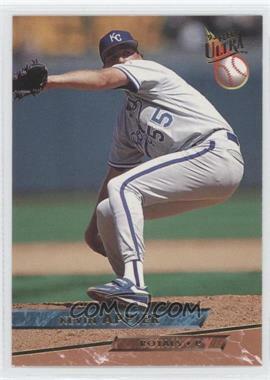 Appier, a right-handed starting pitcher, made his debut for Kansas City in 1989. He pitched for the Royals until a trade in 1999. From 1999 until 2004, he bounced around from the Athletics to the Mets to the Angels before finally returning to Kansas City. He won 167 games and lost 137 (playing mostly for a miserable Royals team). He posted an ERA of 3.74 (during the height of the steroid era, which helped push his ERA+ to 121). What caused me to look closer at Appier was a comment at the Hall of Stats by Eric Ho Rulz. “Eric”, who I assume is a Royals fan who saw Appier often, questioned my easy admittance of Bret Saberhagen into my Personal Hall while Appier received barely a look. And it’s true—I wrote several articles where I debated the players on my borderline. Appier was even left out of those. This entry was posted in Uncategorized on August 14, 2013 by Adam Darowski. Larry Walker, courtesy of iccsports on Flickr. Walker wasn’t just posting a .300/.370/.500 line in Coors – it was a .381/.462/.710 line in Coors. That’s a higher batting average than Cobb and a higher slugging percentage than Ruth. I think the numbers are so disorienting that it makes people think that Rbat isn’t doing its job, but then when you (1) look at how Rbat adjusts other Coors hitters and (2) look at how much better Walker was than those other hitters (other than Helton) it makes a little more sense. Now, when Rally’s WAR (which was the basis for Baseball-Reference’s WAR) originally was published, I was a bit surprised by Walker’s ranking. I knew he was great, but I think I just did what everybody else did and dismissed him as a legitimate Hall of Fame candidate based on his home park. The more I’ve looked into his case, the more I realized he’s a Hall of Famer—and not just by a little bit. We now have the ability to adjust offensive numbers based on thier context (era, park, etc.). Even after adjusting Walker’s numbers, he’s Hall-worthy. Actually, if we didn’t adjust his numbers, he’d basically be Stan Musial. People are dismissing his numbers as being more like Dale Murphy. The truth, of course, lies somewhere in between. This entry was posted in Uncategorized on March 19, 2013 by Adam Darowski.